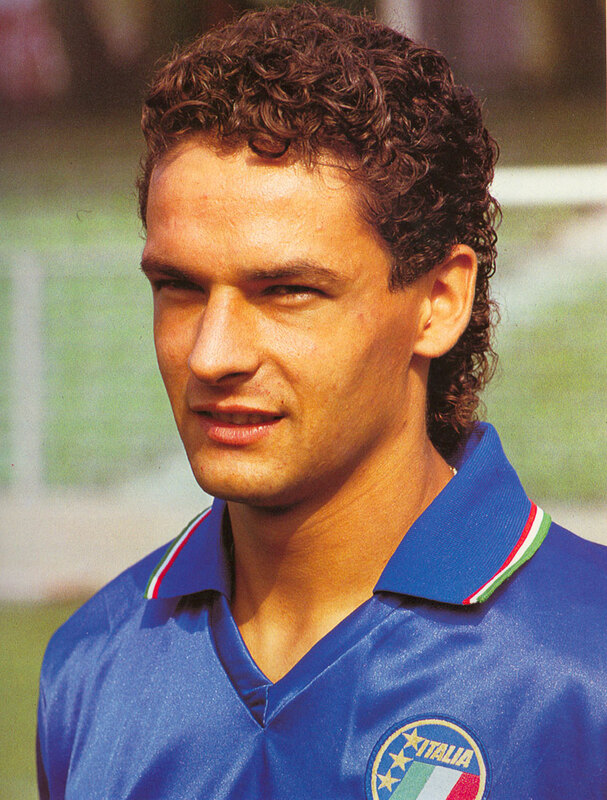 The footballer Roberto Baggio, regarded by fans in Italy and around the world as one of the game's greatest players, was born on this day in 1967 in Caldogno, a small town situated about 10km (6 miles) north of Vicenza in the Veneto. 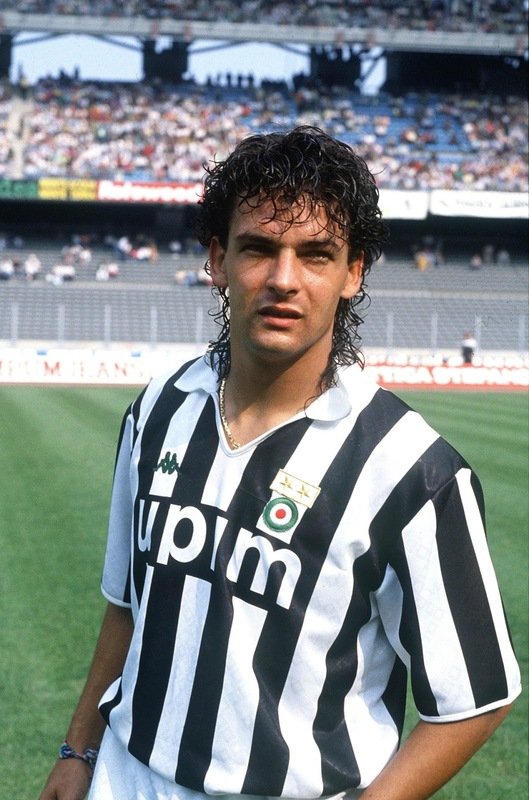 Baggio's career spanned 22 years, most of them spent at the highest level, with Fiorentina, Juventus, Bologna, both Milan clubs and, finally, Brescia, winning the Serie A title twice, the Coppa Italia and the UEFA Cup. He played in three World Cups - in 1990, 1994 and 1998 - and achieved the unique distinction among Italian players of scoring at all three. He scored 318 goals all told, the first Italian for 50 years to top 300 in his career. Yet he spent almost the whole of his active playing days battling against injury. Over the course of his career, he had six knee operations, four on his right knee and two on the left, and often could play only with the help of painkillers. His fans believe that without his injuries, Baggio would have been placed in the same bracket as Pele, Diego Maradona and Lionel Messi as the best players in history. Italy's most famous football journalist, the late Gianni Brera, said Baggio was the greatest Italian player he ever saw, better than both Giuseppe Meazza and Gianni Rivera. Those supporters held him in such reverence they gave him the nickname il Divin' Codino - the Divine Ponytail - on account of the hairstyle he wore for most of his career, of his conversion to Buddhism, and because to them he was a football god. Baggio's career was almost finished before it had really begun when he suffered his first serious knee injury at the age of 18, playing for his first club, Lanerossi Vicenza, in Serie B. He barely played for the next two years and required extensive surgery. The injury came two days before he was due to finalise his transfer to Serie A club Fiorentina and several doctors predicted he would not play again, thanks to the damage done to the anterior cruciate ligaments and the meniscus of his right knee. Yet Fiorentina stuck by him, funded the cost of two operations and were ultimately rewarded with performances of the exquisite brilliance that defined his career and identified him as the complete player, a creative midfielder who could set up a goal for a teammate with the perfect pass, but also a dribbler with the guile and trickery of the greatest wingers and a finisher as deadly as the finest strikers. In Italy he was categorised as a fantasista, the kind of player every coach dreams of if he has any romance in his veins, the kind of player capable, to use a description Italians would understand, of "inventing the game" with a moment of sublime and unpredictable skill. When he moved to Juventus in 1990, the £8 million fee made him at the time the most expensive footballer in the world. It is hardly any wonder that his supporters despair of the fact that he is remembered all too often for the moment in his career when it all went wrong, when he missed his penalty in the shoot-out at the end of the 1994 World Cup final in the United States, handing the trophy to Brazil. 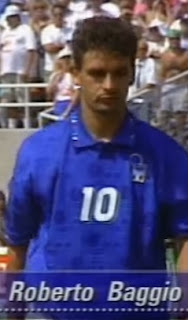 It was one of only eight penalties Baggio failed to convert from a total of 79 in his career. Yet the picture of Baggio, head bowed, suddenly lost and alone among the 95,000 people present at the Rose Bowl in Pasadena, became the image of the tournament, symbolic of an heroic failure. Baggio had dragged his nation to the final almost singlehandedly by scoring five of their six goals in the knock-out stages. He was, as usual, defying injury - playing in the final with painkilling injections and a heavily strapped thigh after suffering a hamstring tear - yet at the critical moment fate turned against him and his kick went over the bar. 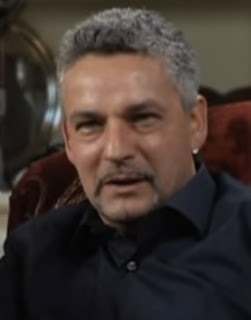 For all the strength of his faith - and he credits Buddhism with helping him through his darkest moments - Baggio confessed that the penalty miss haunted him for many years afterwards, because he had not been able to deliver the dream for his teammates but also because it felt wrong that he would be remembered for something negative. In fact, by its very longevity, his career had been a triumph against the odds, given the bleak prognosis he was given at only 18 years old. His fans prefer to remember a seemingly endless list of brilliant goals and spend many hours debating which might be called the best, given that he scored so many of all types, from superbly placed free kicks and perfectly executed volleys to delicate lobs and wonderful mazy dribbles. The most famous goals, inevitably, are those he scored for Italy, such as the one with which he announced himself on the world stage against Czechoslovakia in Rome in the 1990 World Cup finals in his home country, a run from the half-way line full of feints, dips and swerves, capped with a clinical finish. Others prefer the two he scored against Bulgaria in a one-man show in the semi-final in 1994 at the Giants Stadium in New York. His own favourites include a perfect lob from the edge of the penalty area towards the end of his career, playing for Brescia against Atalanta in Serie A. Although born into a large Catholic family, Baggio became a Buddhist on New Year's Day 1988, his conversion a response to the despair and pain he endured during his long period of injury while with Fiorentina. He prays and meditates daily and claims the religion, to which he was introduced by a friend, made him see life as a challenge to his inner strength. In 1989, he married Andreina, the daughter of a neighbour in Caldogno he had known since he was 15. They have three children, a daughter, Valentina, and two sons, Mattia and Leonardo, the latter named after one of his heroes, Leonardo da Vinci. He has a home in Argentina, where he is a supporter of the Boca Juniors club from the Italian neighbourhood of La Boca in Buenos Aires, and often visits Japan through his Buddhist links. Since finishing his playing career he has spent some time coaching with the Italian Federation and a lot of time involved with charity work, raising money for research into motor neurone disease (also known as ALS) and on behalf of the United Nations, for whom he was active in raising money to fund hospitals, generate help for the victims of the Haiti earthquake, and to tackle bird flu. His support for the Burmese pro-democracy movement and its imprisoned leader, Daw Aung San Suu Kyi, contributed to Baggio being named 2010 Man of Peace by the World Summit of Nobel Peace Laureates. 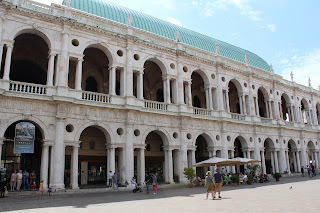 Vicenza is always associated with Andrea Palladio, the city's most famous resident, and no visit should miss out the Teatro Olimpico, which he wanted to create as a Roman theatre inside a medieval building and which was completed, after his death, by Vincenzo Scamozzi, the designer responsible for stage sets giving the illusion of three dimensions. The city is notable too, of course, for its rich collection of Palladian villas, as well as churches containing paintings by Giovanni Bellini and Paolo Veronese among others. Away from art and architecture, Vicenza is a city with a wealth of fine restaurants and chic bars and comes to life from about 6pm, with bars serving the traditional aperitivi - vast, free buffets from which customers buying a drink can help themselves at the start of an evening on the town, or simply on the way home from work. 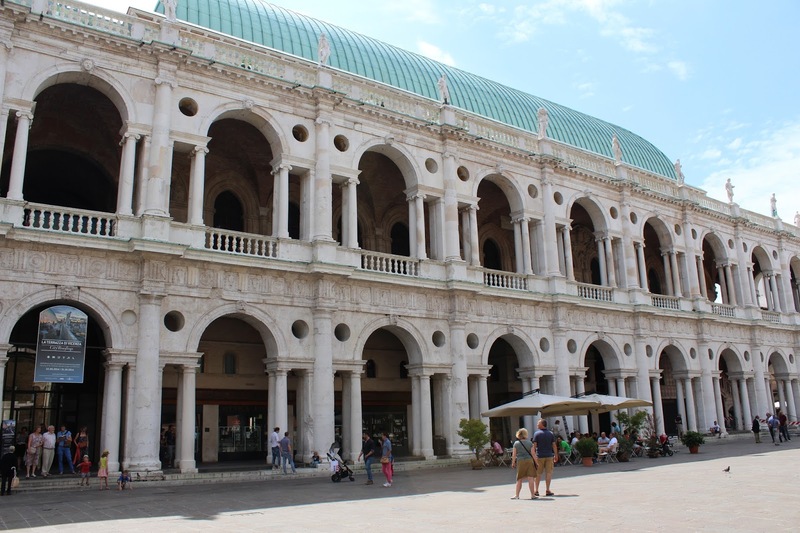 Although Brescia, where Roberto Baggio ended his career, is a wealthy city thanks in the most part to its industrial past, there are sights worth seeing for travellers not put off by the somewhat scruffy streets and downmarket shops around the railway station. The ruins of a Roman forum can be found at Tempio Capitolino, there are two cathedrals, one 150 years old, the other dating back to pre-Renaissance times, and the castle, which holds a museum of the Risorgimento, has its origins in pre-Roman times and has been fortified a number of times, most notably by the Venetians in the 16th century.